This wonderful creature comfort amenity has served you well for many years. But now, it looks like hot tub removal is unavoidable. It’s constantly plagued with problems. You’ve made too many repairs, bought too many replacement parts and it’s just no longer worth the time and effort. That’s understandable because it’s only going to worsen over time. When hot tub removal is inevitable, make no mistake about it, this is hard work. Much like doing bathroom remodeling prep, removing a hot tub isn’t really difficult. But, it does require substantial time and effort. First and foremost, you’ll need the right tools to do the job. These include a reciprocating saw, jigsaw, drill-driver, pry bar and safety gear (goggles, gloves, mask and boots). You’ll use all of these tools so you need to be able to handle them confidently. If you aren’t sure about your skill level, hire a professional junk removal service. In addition to the tools, you’ll need at least one other person to help out. A hot tub is a big, unwieldy item, even when it’s dismantled. Speaking of another person, if the hot tub is still in useable condition, consider selling it or giving it away (with the stipulation the receiving person relocate it). Of course, the problem with this is finding a willing taker. Like trying to dispose of old fitness equipment, there likely won’t be much interest. Read the instruction manual. Whether you installed the hot tub or someone else did, chances are excellent you don’t remember or know how it’s all hooked together. Find the instruction manual or installation manual and go over it carefully. This way, you’ll avoid injury and be more efficient in taking it apart. Disconnect the electrical wiring. Once you’re acquainted with how it’s assembled, you can disconnect the electrical wiring. Turn off the breaker providing power, then disconnect the lines. Additionally, disconnect the water supply and/or the drain. Take the entire spa skirt apart. The spa skirt encircles or surrounds the tub itself. You’ll need to take the spa skirt off the tub with a drill-driver and/or pry bar. Most aren’t difficult to remove after the first panel is disconnected. 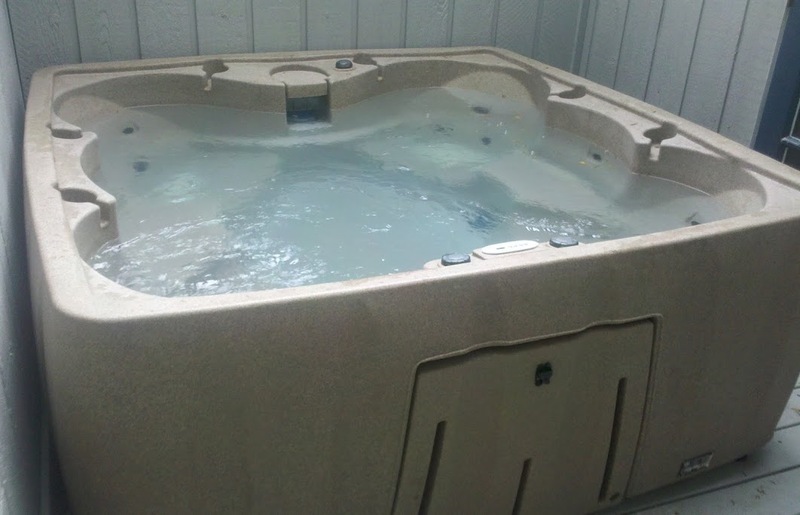 When you need hot tub removal, give us a call at 800-433-1094 or visit Junk Garbage Removal. Our crew will go right to you to get the job done right. Plus, we can be of help in other ways. So, pick up the phone right now.